The number of lines in your electric fence and their spacing depends on the size and agility of the animals you want to contain or deter. Small and nimble species like rabbits, for instance, need more lines than larger, less agile animals like cattle or horses. You need sufficient lines carefully positioned to maximise contact with an animal's sensitive nose, and to ensure it can't dodge underneath or jump over the electric fence. 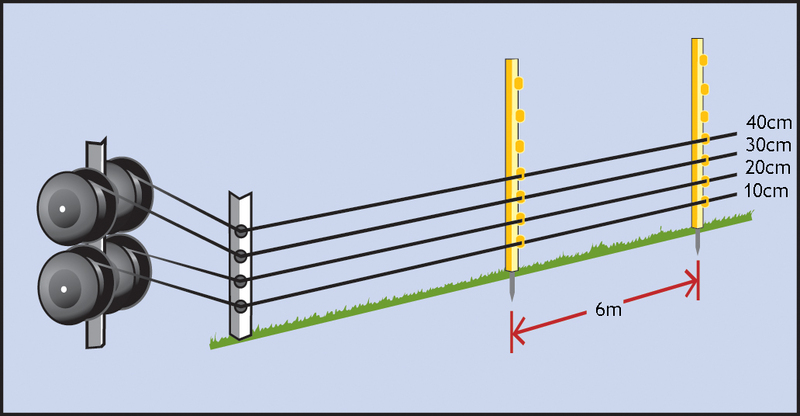 Below are the links to a series of guides to wire heights and post spacings for various animals, for both temporary and permanent electric fencing. We have also included information on the best kinds of wire to use. Electric netting is the best temporary option for protecting poultry and piglets and keeping foxes at bay. 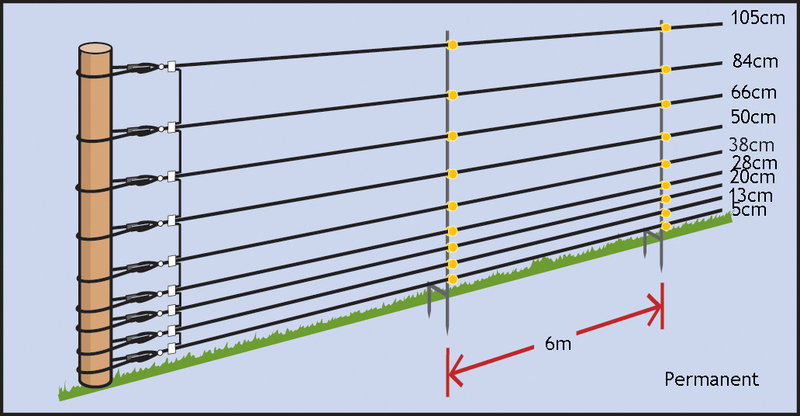 For permanent electric fencing the Rappa designed and tested nine-line fox fence is provenly effective. 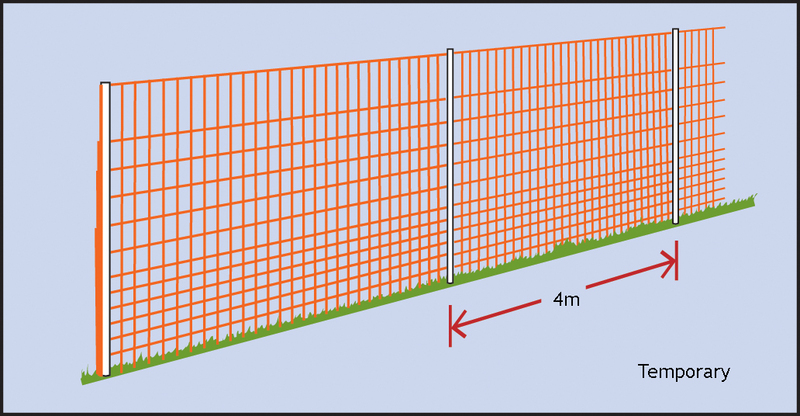 See our Fox Fencing section or Stock Guide for more details. Rabbits, being small and low to the ground, with the ability to both dig or jump, can be difficult to fence. 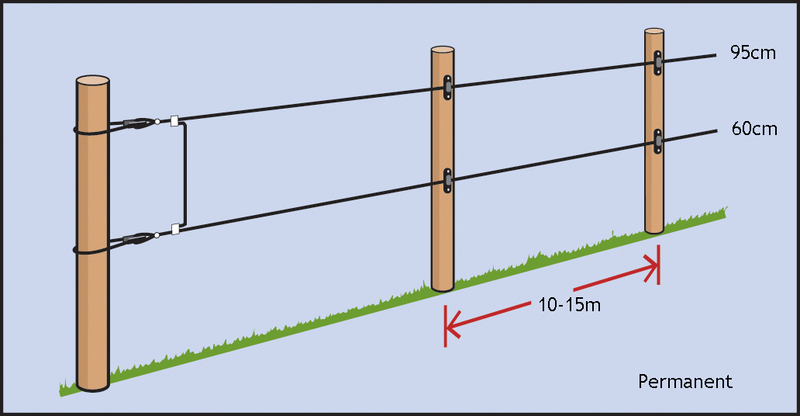 While electrified rabbit netting is suitable for small areas, a four or six-line electric fence will deter them across longer runs. For permanent electric rabbit fencing you will need a section of wire mesh buried down 30 cm into the ground to deter rabbits from digging their way under the fence. The two electric wires will stop them climbing over. See our Rabbit Fencing product section or our Stock Guide for more information. Sheep, being naturally well insulated, need multiple lines to ensure they get a shock where they can actually feel it. 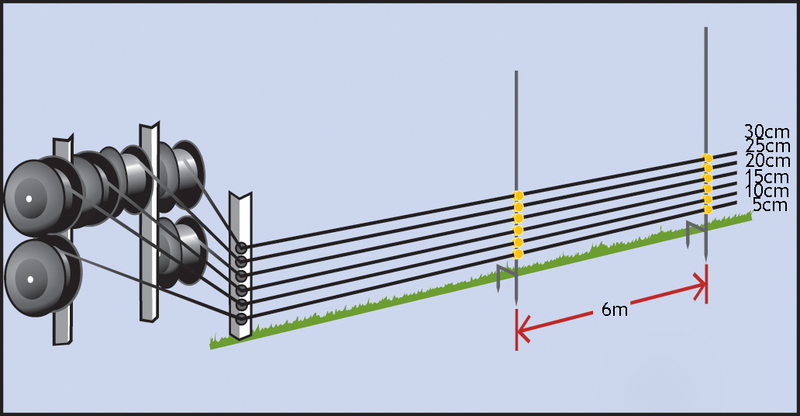 Three lines is the norm for temporary electric fencing; five lines provide more security for permanent electric fences. 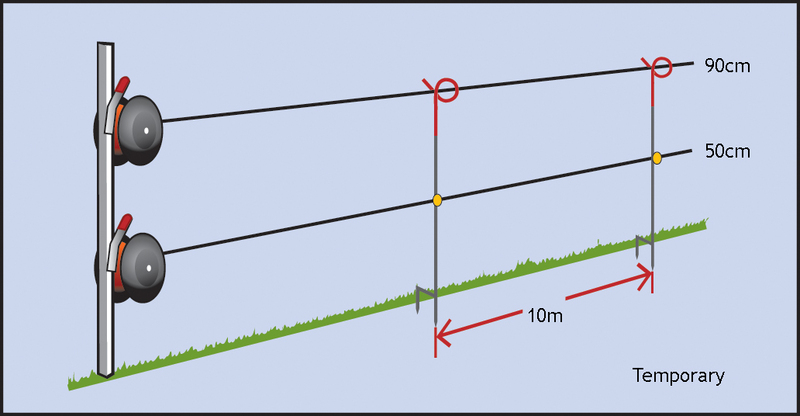 In the five-wire fence, don't energise the bottom wire - designed to stop animals slipping underneath the fence - or growing vegetation will cause shorting. Cattle are very sensitive to electric fencing, so you can get away with a single line at around 90cm from the ground when strip-grazing dairy cows. However, for herds containing young calves, you will need two lines. For temporary use stranded steel wire or polywire with steel or spring steel pigtail stakes. For permanent use high tensile steel wire with timber posts. Pigs, including boars, are very sensitive to electric fencing, and can be effectively controlled with just two lines of wire. However, you'll need three lines for piglets, and to separate boars in adjacent paddocks. NB: This is not a fox-proof fence. To protect piglets from predators see the poultry/fox fencing options. Temporary electric fencing for pigs should e a stranded steel wire with timber or steel posts. 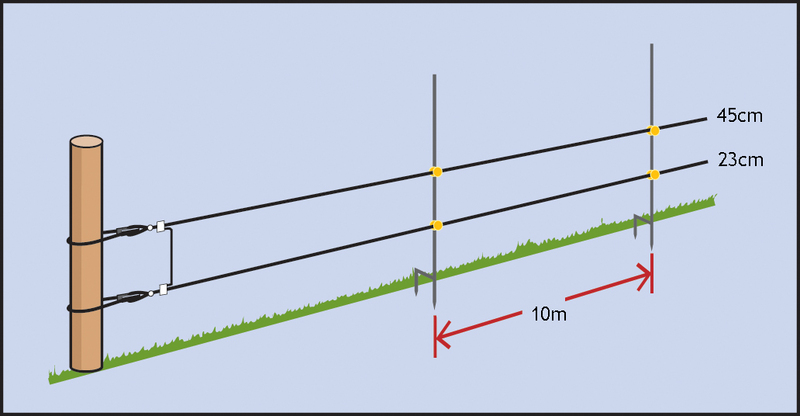 Permanent electric fencing for pigs should be high tensile steel wire and timber posts. Electric netting is the best temporary option for protecting poultry and piglets and keeping foxes at bay. For permanent electric fencing the Rappa designed and tested nine-line fox fence is proven effective. For temporary system recommend using poultry netting and for permanent system use stranded steel or high tensile steel wire with timber or steel posts. For cereal and vegetable crop protection use stranded steel wire with steel or polystakes.